Rishi Anand Nambair from an International School in Bengaluru was declared the National Champion of this spelling bee contest and Harshvardhan Ray another school in Bengaluru was the first runner up. 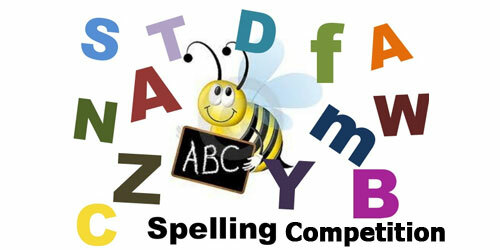 Of the spelling competitions they received their award from an actress Soha Ali Khan. More than 6 lac students of 1,000 schools in 30 cities participated in this event. The competition is conducted in various format comprising on-ground, online and a final televised phase. The theme for the competition this year was. ‘Be Better than Yourself’. Only the top 16 students from across India battle it out in the televised National Finals, which will be simulcast this year on The Discovery Channel, Discovery Kids and Discovery Tamil starting May 4. The National Champion of the spell bee season 11 won a grand prize of Rs 2,00,000 apart from an all-expenses paid trip to witness the prestigious Scripps National Spelling Bee 2019 with a parent in Washington D.C., U.S.A. The four semi-finalists won a cash prize of Rs 50,000 each.